Ansonia Clocks were made by a clock manufacturing business which started in Ansonia, Connecticut in 1851 and which moved to Brooklyn, New York in 1878. 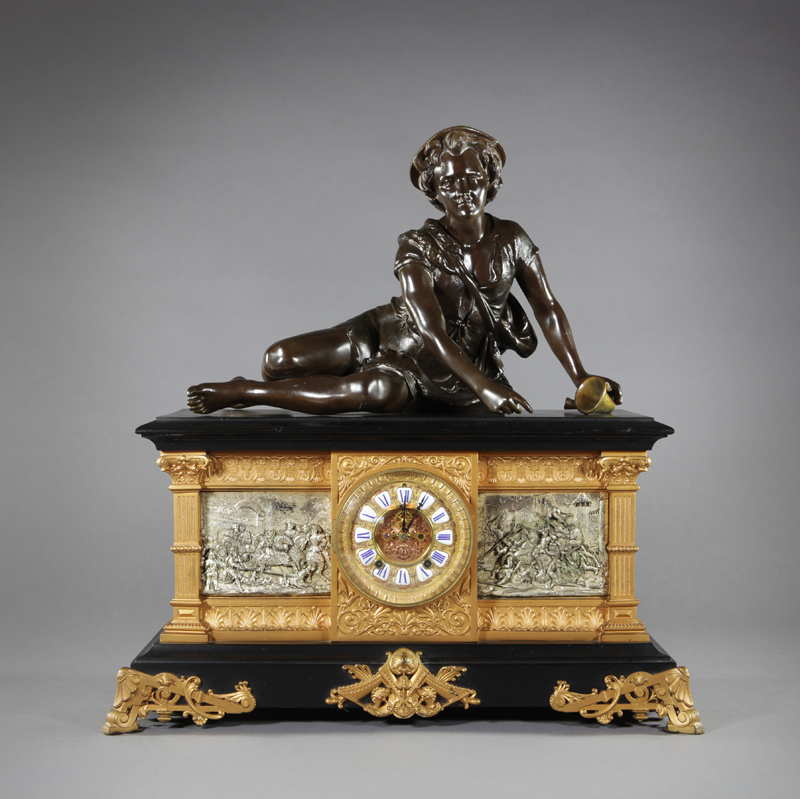 An enormously successful business, it turned out thousands of clocks in a large number of styles. Base is decorated with a relief-cast panel depicting battle scenes. Porcelain clock face with blue Roman numerals.